You may want to go to a spa and relax as you have been working so hard but you may not have the time to do it. Why not bring the spa to your own bathroom? 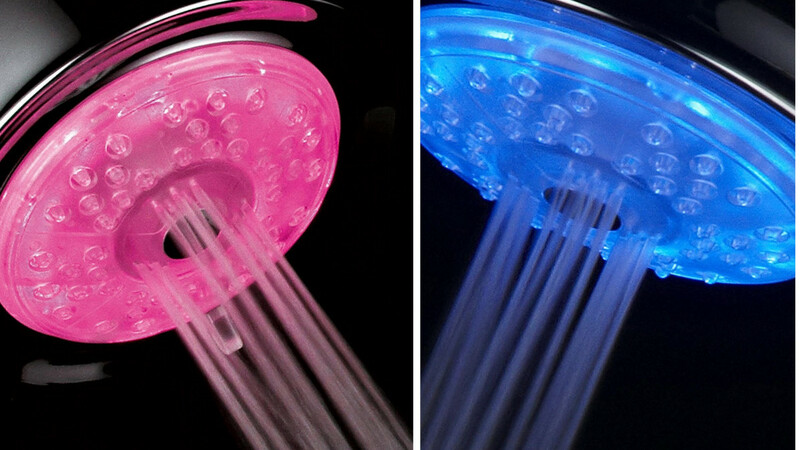 This color changing shower head will let you do just that. This very unique shower head does not require any batteries or power. It comes with LED lights which use the water pressure to produce a rainbow of color, right in your bathroom. With this color changing shower head, you can have a fun, bright experience in your bathroom every single morning. 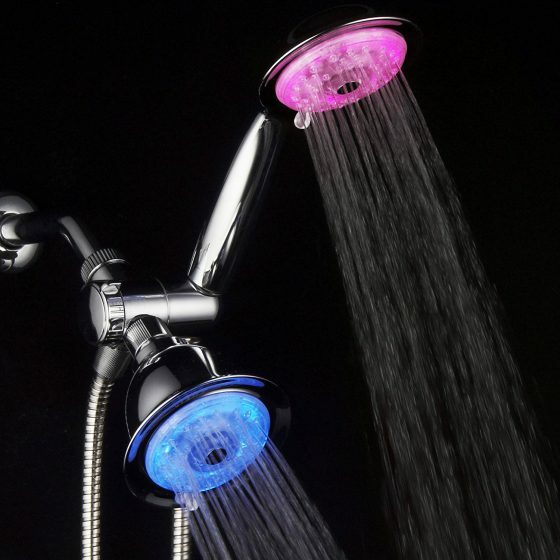 The color changing shower head has 7 bright LED colors which change automatically every few seconds. They then slowly blend into one another. It also injects oxygen into the water flow through 48 nozzles, thus magnifying the water pressure. The nozzles also help prevent clogging. To add to the spa experience right in your own bathroom, the shower heads also have 4 different settings. These include Rain, Massage, Rain with Massage and the water-saving Pause mode. If you would like to have a little massage, along with the beautiful array of colors, then you can choose one of the massage settings. If you want to bring the color changing shower head closer to your body, you can remove it from the overhead bracket. The shower hose is also very flexible and is stainless steel. It has dual solid brass conical nuts to allow for hand-tightening. Use this color changing shower head to produce a kaleidoscope of colors in your bathroom and to have a vibrant showering experience.